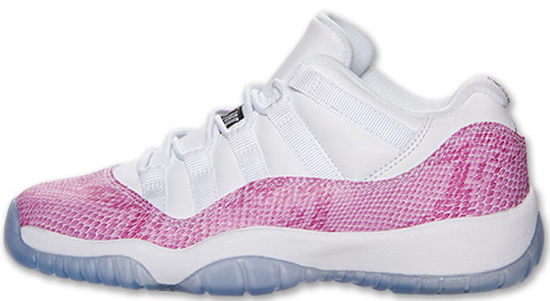 Snake skin returns to the Air Jordan 11 Retro Low this weekend. As we continue to celebrate the "Year Of The Snake", Jordan Brand is set to re-release this snake skin Air Jordan 11 Retro Low. 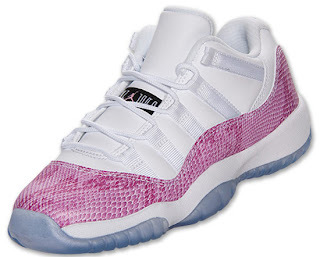 Originally released exclusively in women's sizes in 2001, this time they return in kid's sizes. 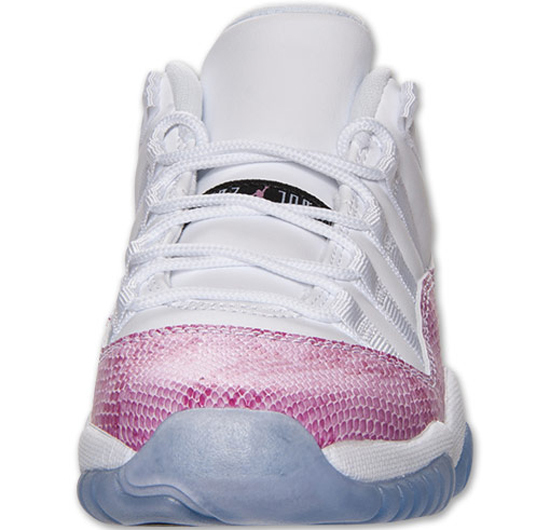 Featuring a white based upper with pink snake skin replacing the traditional patent leather. An icy blue translucent outsole has been added for a little extra pop and, to help slow down the yellowing process. 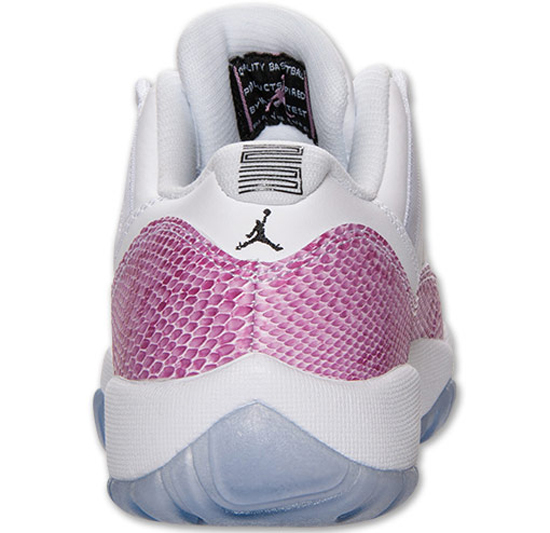 A general release, look out for these at select Jordan Brand accounts worldwide alongside the white, black and true red Air Jordan 11 Retro Low on Saturday, June 8th, 2013. Retail is set at $110 for GS (gradeschool) big kids sizes and, they will also be available in preschool and toddler. 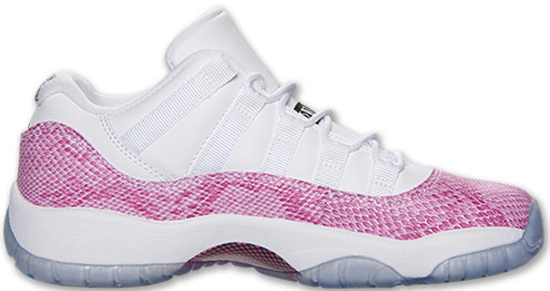 Enjoy the official images below of the snake skin Girl's Air Jordan 11 Retro GS in white, black and pink. If you're planning to pick these up when they release, be sure to check in with your local spots to see if they will be receiving them. Those of you looking to lock down a pair now can, grab a pair from eBay here.